If you’re like us, total bibliophiles, then you think about books all the time. Yes, you can listen to a great audiobook in the car, but how about listening to a great podcast that discusses all things books? If you’re looking to get your book fix in during your daily commute or time off, we’ve rounded up the best of the best when it comes to bookish podcasts. These are the 10 best podcasts for book lovers. 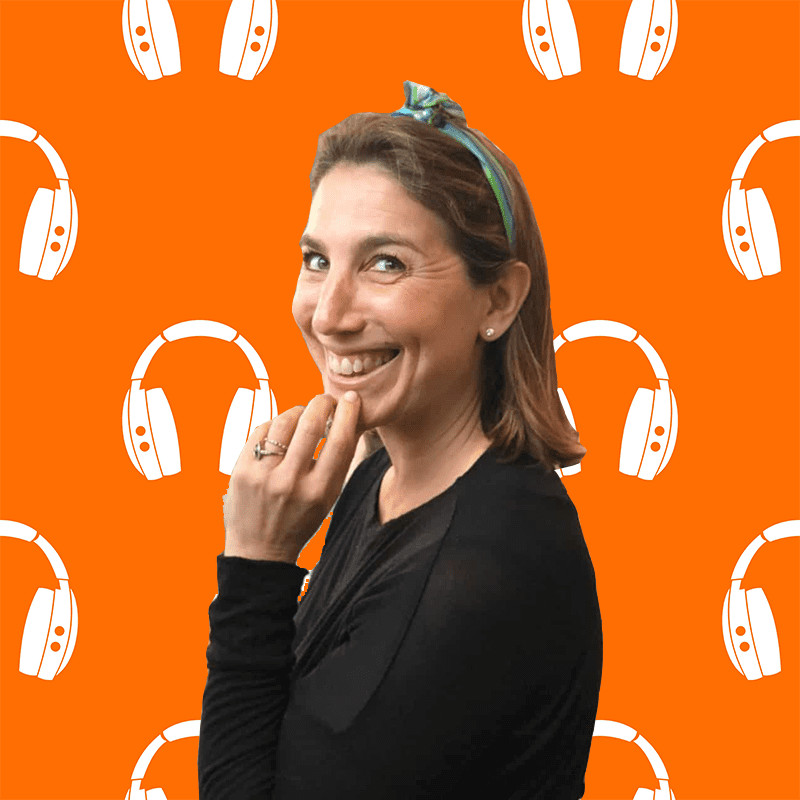 Zibby Owens is not only the host of this highly-entertaining podcast but she is also a writer and a mother of four who knows the struggle of being too busy to read books. Sharing numerous podcasts every week, Owens dives into the questions many readers have for some of their favorite authors, bringing listeners a new insight into the books they love. From Georgia Clark to Rebecca Makkai and more, Moms Don’t Have Time to Read Books gives book-loving moms a way to stay up-to-date on what’s new in the world of books. Book Riot is a force to be reckoned with when it comes to recommending great books that appeal to a massive audience of avid readers. In this weekly podcast, the Book Riot team puts together a list of their best book recs so if you’re looking for the next book to add to your #TBR pile, you’ll love Get Booked. Is there anything more relatable than the title of this podcast? There are so many damn books we all want to read! Co-hosts Christopher and Drew are on a mission to provide listeners with what’s currently hot in the book market and give them hope that they will one day make it through their never-ending reading lists. Keep up-to-date with this podcast, streamed from Brooklyn, New York. Diversity in the publishing industry is slowly improving and in this insightful podcast co-hosts Dani and Mollie talk about books written by black women and for black women. Discussing the latest diverse reads, the two women share jokes, stories and book insight over a nice glass of wine. Deborah Treisman, the fiction editor at The New Yorker, hosts this monthly podcast where she discusses new books and shares snippets from the books she is currently loving. If you’re looking for a sophisticated and highly-selective podcast, this will be the one for you. Authors of Asian and Pacific Islander descent are making their mark on the literary world one day at a time. In this podcast from Potluck Podcast Collective, the hosts pick a monthly book for their audience to read along with them. They cover a wide variety of genres and encourage listeners to join in the monthly book discussion in the Goodreads forum. Co-hosts Linzi and Daniel invite a new guest onto their podcast every three weeks to take part in a new kind of reading experience. Assigning each podcast host 33% of a new book to read, the three then return after they have completed their reading to recap what happened in each of their sections. The hilarious 33% Pulp episodes bring a unique approach to the way we read and discuss books. It’s the perfect podcast to zone out to during your morning or afternoon commute. Looking for a podcast that solely focuses on books by and about women? Reading Women is the show you should tune into next. These weekly episodes are empowering and highlight everything we love about powerful female writers and their genius work. Wondery is responsible for producing one of our favorite podcasts, Sword and Scale, and they also are the proud creators behind the What Should I Read Next? podcast. Anne Bogel, a blogger from Modern Mrs. Darcy, has a reader on her show each week to talk about the books they’re loving and hating. Then Anne shares her own recommendations with her listeners, leading to the ultimate book recommendation podcast. Book recommendations from booksellers and drink recs? Yes, please. Join this monthly podcast where experienced booksellers discuss all of their favorite books of the season and the upcoming releases they think book junkies will love.